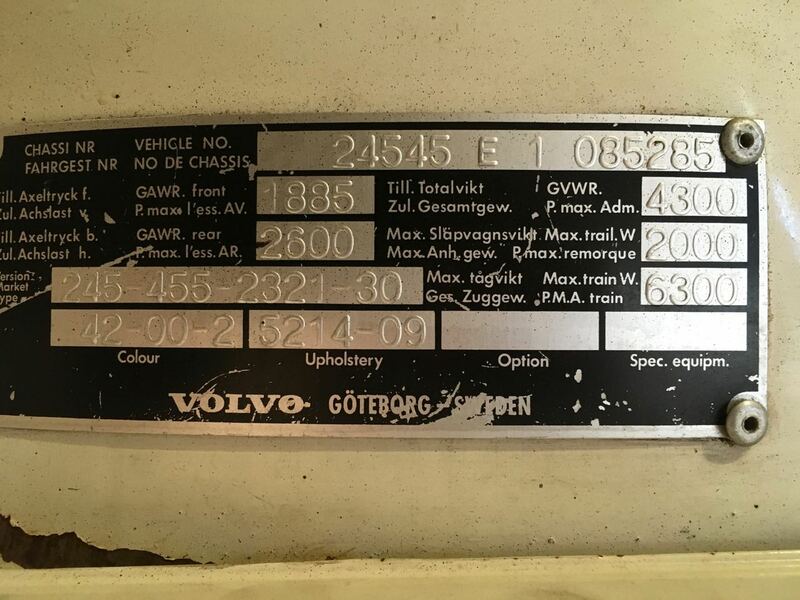 The underhood plate on my car lists an upholstery code of "5214-09". I'm assuming that's some kind of blue as it's more or less clear that the original interior color of my car is blue. But as I look around online, I find that there are in fact lots of "blue" codes for the 245 (mine is 1976), and none of them are 5214-09. Does anyone have a reference for decoding these numbers? Even better might be something that links the codes to color swatches...or a place that sells carpet that has swatches. I'd like to get an idea of what the original color was for my car's interior. Over the years, bits and pieces have been replaced and between that and sun damage there are about 6 different shades of "blue" in my interior. I figure that starting with the original code is a good idea. Also, the "color" code on the plate is "42-00-2" I know that the first 2 digits mean "white". I don't know if the other digits have any significance relative to interior color.